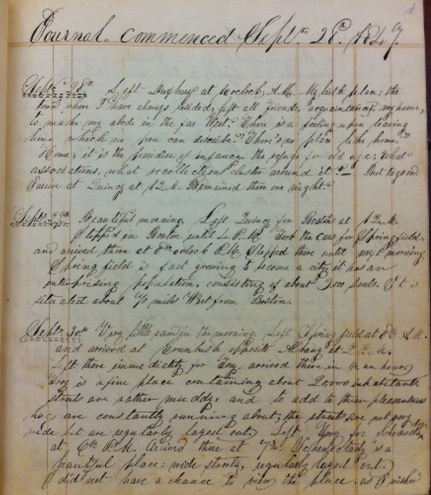 The Drew Archival Library has a number of journals that volunteers have transcribed or are currently transcribing. Four of the journals are highlighted in Facebook: Charlotte Bradford (Civil War Nurse), Davey Meechan (Civil War soldier in the 18th Massachusetts Regiment, Company E), Capt. Edward Baker (Civil War Naval Officer), and Amherst Alden (young pioneer school teacher in 1847).